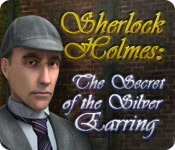 Sherlock Holmes - The Secret of the Silver Earring is rated 4.2 out of 5 by 12. Rated 5 out of 5 by cigall from Incredibly engaging mystery solving game Just finished this game and absolutely loved it. This is a movie-like mystery solving game where you spend five days searching for clues and talking to people to discover the killer(s). 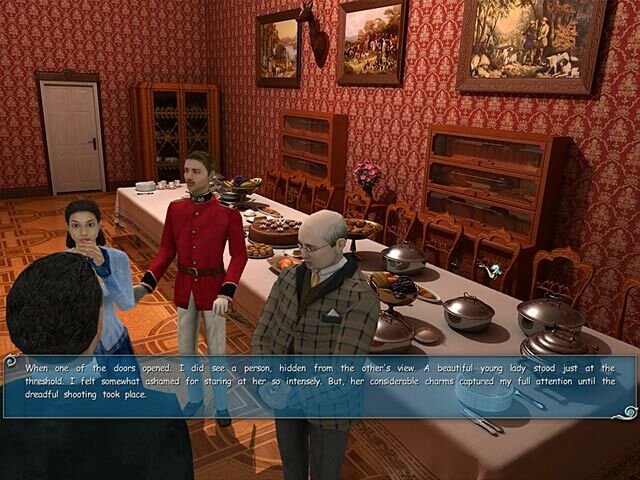 This is *not* a hidden object game (in case that's what you are looking for)--it is a "large file", complex, engaging mystery adventure game in which you have to guide Holmes and Watson to look for clues and interrogate suspects in order to piece together what really happened. The mix of exploring new places, looking for clues, and talking to people, and thinking about how they all fit together is a lot of fun and very engaging. The ending scene where Holmes reveals what really happened and who is guilty was perfectly done and had me on the edge of my seat. 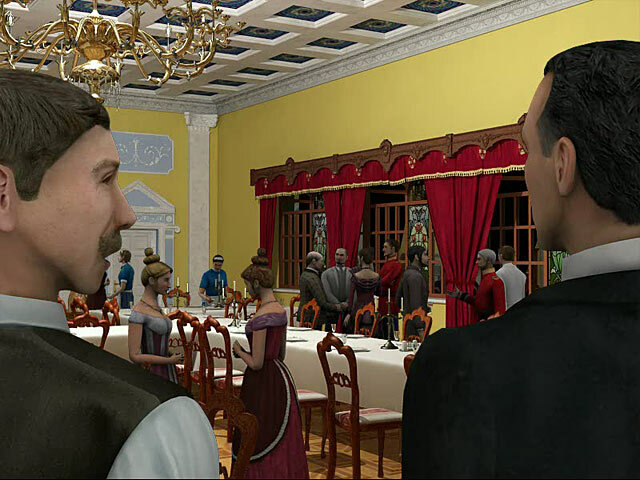 I am already downloading my next Sherlock Holmes game. Enjoy! 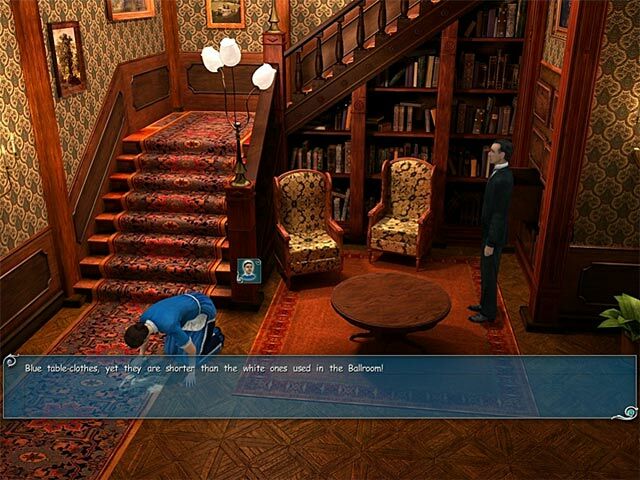 Note: There is one part where it is recommended to save your game before attempting it, as Holmes can get "caught": the part where he has to hide from the guard and his dog at night. Also, I recommend using UHS hints if you get stuck, as they reveal gradual hints without giving it all away like normal walkthroughs do. Rated 5 out of 5 by Ctina_Livengood from Wow - such a great game! It was lengthy (nice to play a good adventure game that isn't too short) and challenging. The characters were interesting, and the mystery was intriguing. There is great voice acting and a fascinating story. Not an HOG (thank goodness). I may end up playing it again to watch all the intrigue unfold now that I know who murdered who! Rated 5 out of 5 by MagnusG from Really lovely scenes This game had it all! Voiceovers, puzzles, moving around, fun and great quality! Rated 5 out of 5 by rage06 from Challenging your mind for sure! Note: LOTS AND LOTS OF READING MY FRIENDS!!! Negatives First! : Only thing I did not like was waiting on certain parts of watching Holmes and Watson leaving the area you were in, it had nothing to do with anything. The sense of direction of you were you walk or "run", should have been worked on as well. It was difficult and a bit sloppy trying to find where to walk on the "hot spots". Positives: The overall game was good. I have to give it 5 stars for it was a challenge and entertaining to find items and match them with questions you end up answering in quizzes. The ending, they show you the results and explanations of when, where, what and the whys, making it conclusive to your findings; satisfiable to patting yourself on the back when Holmes gives a educational, witty result. Rated 5 out of 5 by LillieLovey from Love the movie at the start. Game starts with a story in movie format. I like that. It's not a short movie, several minutes long. It gets you into the story. From what I can see, there are no "hints", you have to figure it out on your own. When he says he needs a hint, he means to pick something from the inventory and show it to whoever he's talking to or use it for something. He'll also say other things to send you in the right direction if you are lost. To me,an middle aged woman who doesn't play a lot of games, it's a challenging game but that makes it worth the money IMO. You get to use the magnifying glass, the test tube, travel around to different locations. Act as Sherlock and Watson at different times. I think it requires patience cuz you really are investigating and asking questions of the characters. It's not a real fast paced game. Rated 4 out of 5 by J9CT from A True Detective Game!!!! I played this game a while ago and didn't complete it as it was just too challenging for me. There is no hand holding in this game so no hints etc, you're on your own doing the detective work as both Holmes and Watson. I also struggled a bit due to the graphics not fitting properly with my screen as it may be a much older game. I will probably try this game again at some stage and I definitely can't knock it just because its too challenging for me. Its slow paced and you've got to put in the ground work like a real detective. Rated 4 out of 5 by bubbies423 from A Good Game! Very Challenging, but fun overall! Controls are a little jerky, and could use some work, but i doesn't impede the gameplay. Make sure to save constantly! Rated 3 out of 5 by Italia47 from Much too slow for me! Not my cup of tea for this genre! I'm not crazy about this genre. Moves too slow for me. With respect to the developers and positive reviewers, I'm bored with the step, walk, run genre. Not for me. Sorry! I'll give it a three-star for effort, visuals, VOS. As I've written before I would never not recommend a game unless it's really, really bad; and because we're all unique and have different tastes, these types of games don't float my boat. Try it anyway and it might float yours. Help Sherlock Holmes solve a string of grisly murders! Team up with Dr. Watson to find the person responsible for these crimes.